Long-Wave Infrared Scene Generated by Signature Research, Inc.
Signature Research, Inc.’s primary modules include background scene building tools, dynamic heat transfer, and reverse ray tracing with importance sampling. 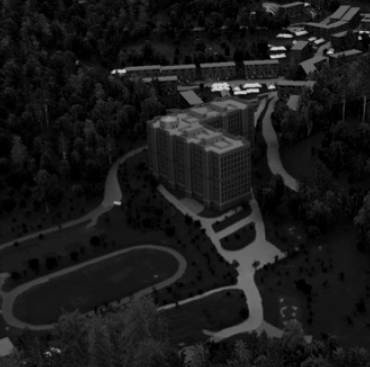 Signature Research, Inc.’s multispectral solvers have supported large-scale scene development efforts beyond 100 square kilometers and exceeding 40 billion polygons. Our tools take advantage of multiple threads and multiple nodes using DoD HPC Resources, including shared memory and Beowulf architectures. There is no charge and no third-party distribution for the software. The source software is Distribution D, available to DoD and DoD Contractors only. The Threat-Oriented Survivability Optimization Model is a decision support analysis tool designed to maximize survivability attributes across a threat kill chain while balancing the impact to system burdens. TOSOM is used to: 1) Evaluate system survivability; 2) Perform trade- offs between survivability countermeasure performance and burdens; 3) Evaluate system survivability and all possible countermeasure combinations within and across multiple threat environments; 4) Study threat lethality probabilities; and 5) Perform requirements and capabilities evaluations. TOSOM provides the user with the data in order to answer the tough “so what”, “how much”, “what is the benefit-burden”, and “how much does the preferred survivability suite change if threat or technology performance levels change” questions. 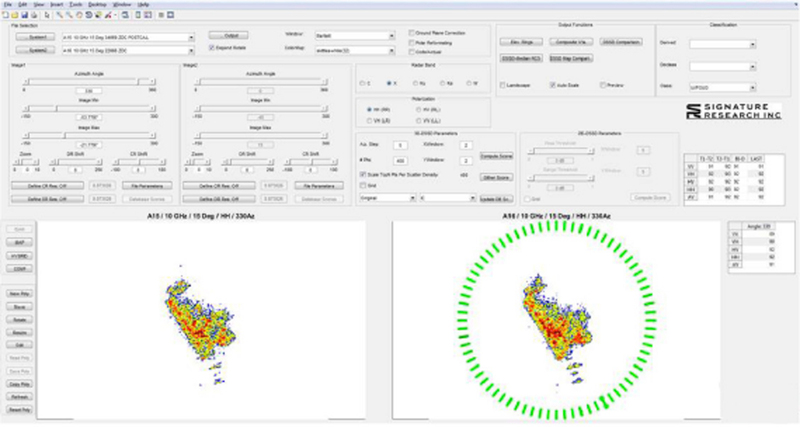 A workstation environment that allows highly complex radar signature evaluations to be accomplished with the click of a button, implementing an aided/automated target recognition algorithm (ATR) to assist a subject matter expert (SME) in rapidly evaluating large data quantities in just minutes. Operating on high resolution Synthetic Aperture Radar (SAR) data, the tool has been rigorously reviewed and adopted by the Intelligence Community as a standard. DSSD has been extended to Airborne and Spaceborne imagery, providing outstanding target identification results using low storage-burden pre-defined DSSD template files. 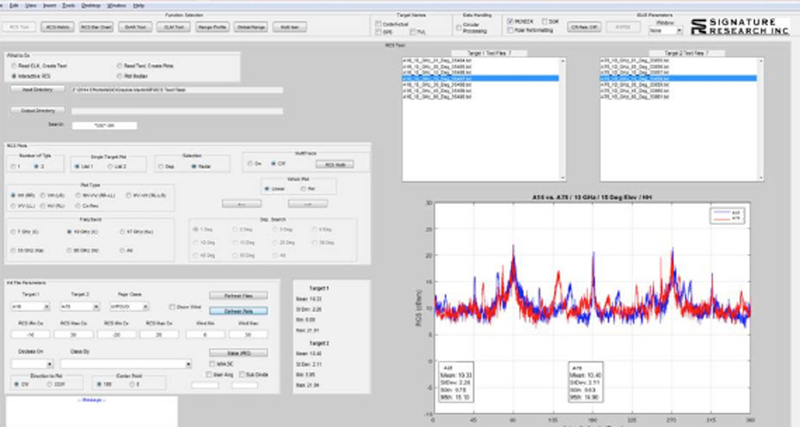 The DSSD algorithm has been applied on X, Ku, Ka, and W-band radar data in both monostatic and bistatic radar applications.